OWO Shoes is a brand of baby shoes and slippers created in 2012. As a young mother of twins, i named the brand after the first syllables they pronounced «o-wo». Each pair tells a colourful, funny, entertaining, and joyful fable. All shoes are made out of lambskin. So wellcome to my gypsy, vintage, punk and delicate world. 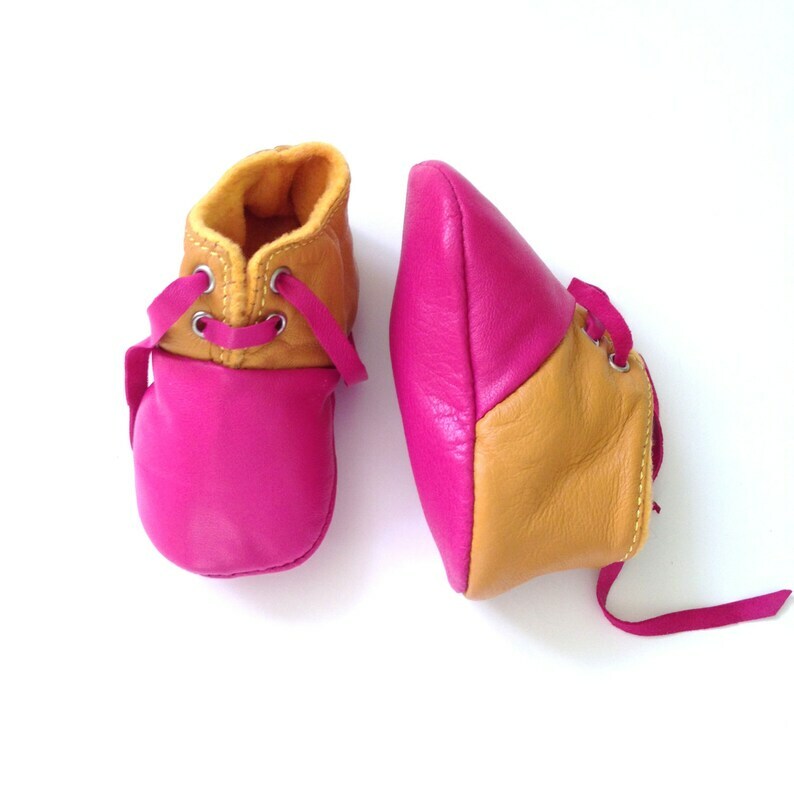 As the lamb leather is very soft, your baby will feel very comfortable in our shoes. The shoes to keep in their memory box when they are no longer worn. Entirely handmade, leather, lace allows a perfect fit. jolis et de bonne qualité! These are the best baby shoes ever! Thank you so much! For goods lost or damaged in transit, only insured items are covered.Shipping/handling costs are not insurable or refundable. Buyer files any claim for loss or damage with the carrier used. Be advised that most carriers take at least 30 days to investigate and settle any insurance claims. IN THE EVENT OF RETURN EXCEPTION: Buyer pays return shipping cost. Item must be returned in original, clean & unused condition & in original packaging. Items are shipped once payment has cleared & been deposited. I ship by La Poste First Class or Priority Mail. We usually ship the item within 1-3 days. And it will take 7 - 14 working days to arrive. Tracking number will be provided. We ship to worldwide through fast and reliable delivery partners. Insurance is optional & available upon request. OwO SHOES is not responsible loss/damage in mail delivery once order is shipped. That's why insurance is offered. We are happy to do this and can include a free gift card. Every order, gift or not, is carefully wrapped with tissue paper and raffia. Please indicate in the "Message To Seller" option or convo us what you would like it to say to the lucky recipient.